Jayanagar’s big on the vegetarian restaurant front and we love that. But then there are those cravings that only a good meaty ghee roast can satiate. Turns out Jayanagar’s new seafood joint, Bella, is all about the ghee roasts and Mangalorean cuisine. Fish thali forms their staple on weekdays with the fish and prawn thali taking centre stage with fries and curries. They’ve got alcohol, meaning all those times you wished for a cold one with your prawn ghee roast or rava fried seer fish, is now a possibility at Bella. 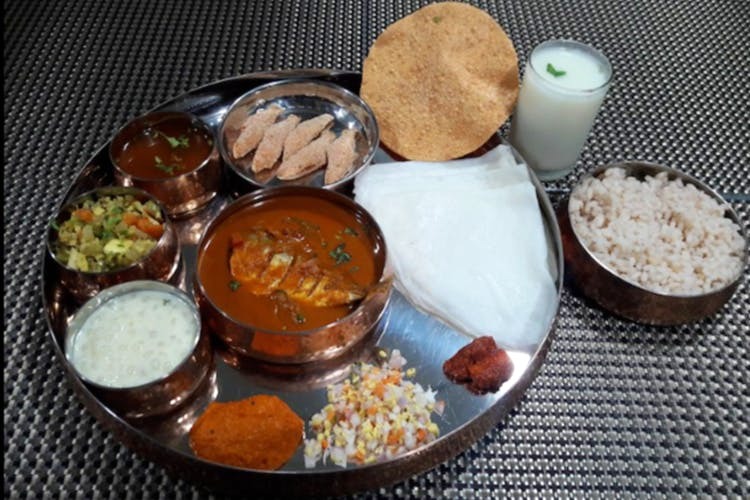 The menu doesn’t experiment much and they keep winning formula of Prawn or Chicken Sukka for starters, three kinds of fry — rava, masala, and naked, and curries in Mangalorean and Pulimunchi style all which can be mopped up with neer dosa or sannas. We can’t wait to try out the menu, be sure to watch this space for more!